Cloud watching, that most ancient pastime, enters the modern age, thanks to the astronauts aboard the International Space Station. Ever wish you could just sit back in space and gaze as the Earth lazily rolled by beneath you, just like the astronauts? Well, NASA is offering the next best thing to being there in person, courtesy of a suite of high-definition video cameras installed on the exterior of the International Space Station last month. Now we can all enjoy the mesmerizing online footage of clouds, oceans, and continents floating by on our screens anytime. If you view the feed on this NASA Johnson Space Center webpage, you can also see a world map showing wherever the ISS is currently flying. Engineers hope that this trial run will help determine how future cameras can remain reliable workhorses during extended missions, whether in low Earth orbit or on a multiyear mission to Mars. Watch long enough and you will see cameras switching between various views, including sunrises and sunsets every 45 minutes. That’s because the orbiting lab takes only 90 minutes to circle the Earth while traveling at some 17,000 miles (27,359 kilometers) per hour. So don’t be surprised when your screen goes dark for extended periods as the station rounds the night side of the planet. Joining NASA’s cosmic video show soon will be two more commercial HD cameras, made by Canadian company UrtheCast (pronounced “Earthcast”). Installed on the outside of the space station back in January, they aim to stream near real-time imagery of Earth as well. 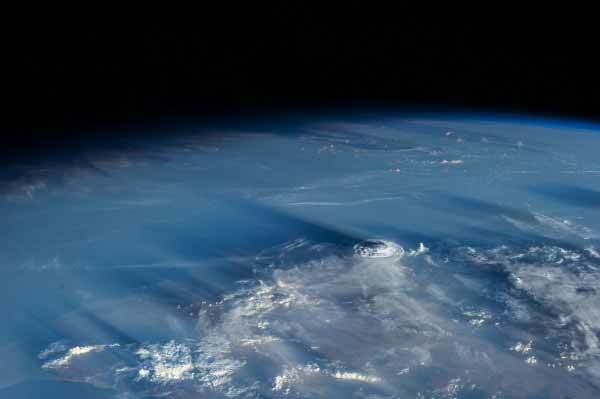 So, while we might only dream of becoming an astronaut, we can at least enjoy jaw-dropping views from space anytime.